Previous studies of the association of meat intake and meat-derived mutagen exposure with breast cancer risk have produced inconsistent results. We evaluated this association in a population-based case–control study of incident breast cancer conducted in Nashville, Tennessee, United States, including 2,386 breast cancer cases and 1,703 healthy women controls. Telephone interviews were conducted to obtain information related to meat intake including amount, cooking methods, and doneness levels, as well as other known or hypothesized risk factors for breast cancer. Unconditional logistic regression was used to derive odds ratios (ORs) after adjusting for potential confounders. High intake of red meat was associated with a significantly elevated risk of breast cancer (P-trend < 0.001). The association was particularly strong for high intake of well-done red meat (P-trend < 0.001), with an adjusted OR of 1.5 (95% CI = 1.3–1.9) for the highest versus the lowest quartile. Associations between red meat and breast cancer risk were slightly stronger for postmenopausal women than for premenopausal women. 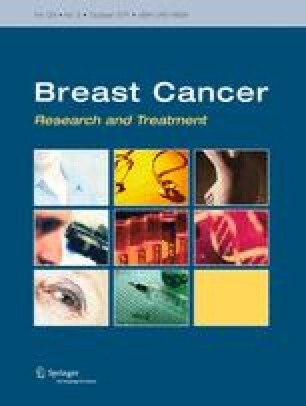 Meat-derived mutagens such as 2-amino-3,8-dimethylimidazo[4,5-f]quinoxaline and 2-amino-3,4,8-trimethylimidazo[4,5-f]quinoxaline, were significantly associated with increased breast cancer risk among postmenopausal women only (P-trend = 0.002 and 0.003, respectively). The results from this study provide strong support for the hypotheses that high red meat intake and meat-derived mutagen exposure may be associated with an increase in breast cancer risk. This work was supported by research grant (R01CA100374) from the US National Cancer Institute. The authors would like to thank the study participants and research staff of The Nashville Breast Health Study (NBHS) for their support of this research, Dr. Rashmi Sinha for providing food photos to assess meat doneness levels, and Mary Jo Daly for technical assistance in the preparation of this manuscript. Survey for this study was conducted by the Biospecimen and Survey Shared Resource, which is supported in part by P30CA68485.